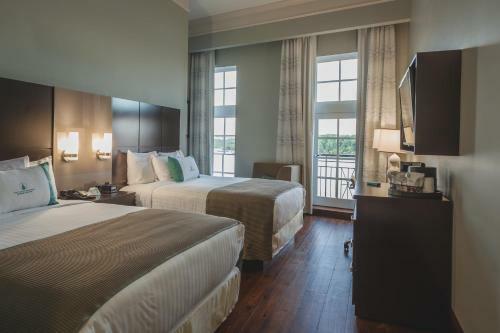 Rooms from $154.22 per night. 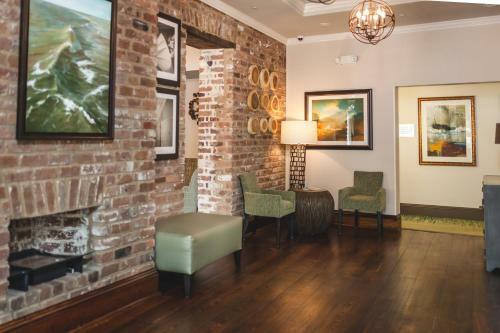 Description This Savannah, Georgia hotel has free internet access, non-smoking guest rooms and an on-site restaurant. 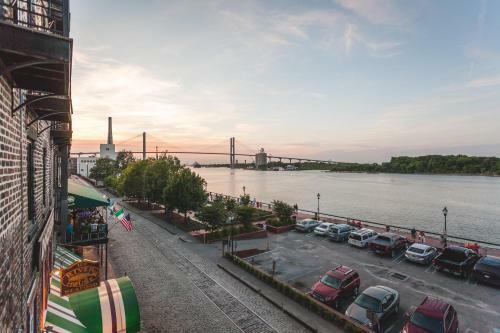 A prime location on the Riverfront and a rooftop lounge are top perks during a stay at the historic Cotton Sail Hotel in Savannah. 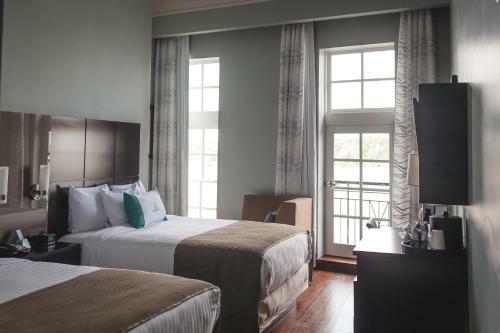 This historic hotel originally a cotton warehouse built in the 1800s boasts 56 elegant rooms with original 200-year-old pine floors and modern touches such as large 42-inch flat-panel TVs free Wi-Fi and comfortable work desks. 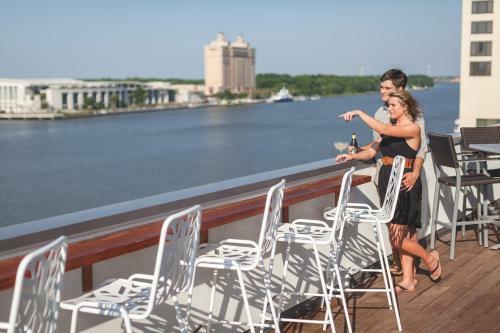 Take in the sweeping views from the rooftop bar or enjoy a Savannah River or city view from your room; some rooms have balconies. 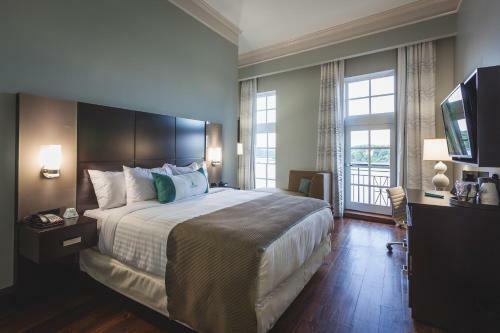 Work out in the fitness center or take care of work at the staffed business center. 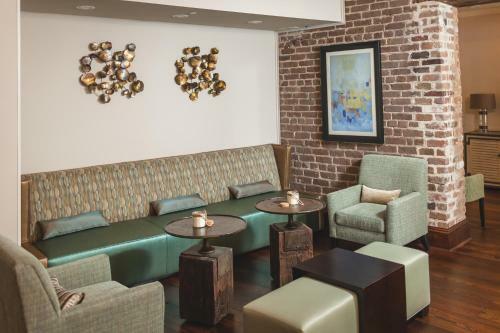 There's a sundries shop and an ATM in the 24-hour lobby plus a concierge desk to help plan outings in this coastal city. 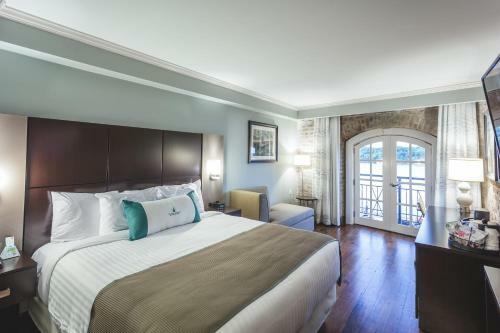 This downtown hotel overlooks the Savannah River and is close to the city's historic fountains and architecture. Savannah College of Art and Design is less than a mile away. Savannah/Hilton Head International Airport is about 10 miles away. 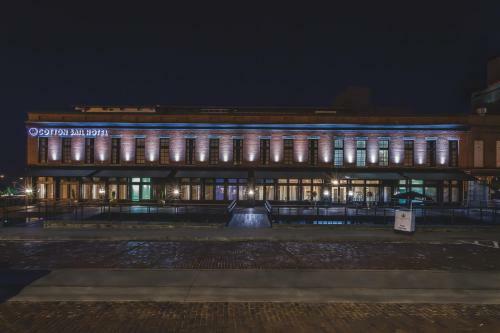 Walk an easy five minutes to the shops bars and eateries in the city's famous Riverfront. Hunter Army Airfield is about seven miles away and Tybee Island is 20 miles away. 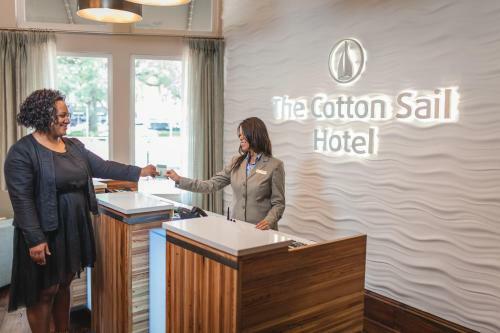 Add The Cotton Sail Hotel to your free online travel itinerary.